"By 2013 800 million people will be using GPS-enabled devices. Soon, everything on the Internet will have a location coordinate. This is a space we intend to own." Indeed, this is a quite possible future, and one for which we with Midgard are quite well prepared for. Many smartphone browsers (and even desktops) nowadays can transmit their location to web services, more and more geotagged information is being published via microformats, feeds and RDF. 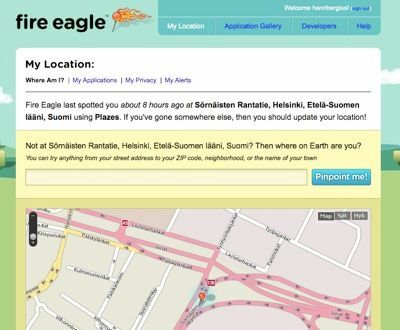 From the humble beginnings with Plazes, social web services like Twitter, Qaiku and Facebook can now store and display location where different status updates were made. 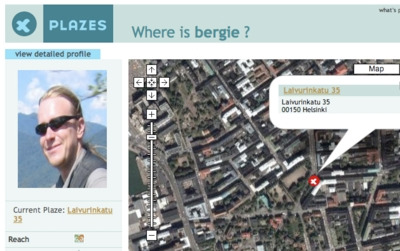 The missing piece for a wider-scale geotagged web however is actual usage of geodata. We need easy tools for tagging content with locations, but also web services that actually serve their users better thanks to location information. This can mean helping the user to catch a bus, or recommending them clothes purchases based on local weather. Anything that goes beyond just showing dots on a map. For that, Midgard has had the necessary infrastructure in place. What we need is your ideas and use cases for how to improve web services through location.